Check out our updated trend analysis based on the Contact Center Pipeline survey results. Customer service is an arms race. Companies are always competing to provide better service and create a better customer experience in the hopes of attracting and retaining customers from their competitors. According to an executive report from CCW, 63% of consumers would actually pay more for a product if the company provided a better customer experience. More and more, companies are finding an edge through their customer service departments and contact centers. In order for you to compete in 2018, you’ll need to do the same. Are you considering a contact center transition? 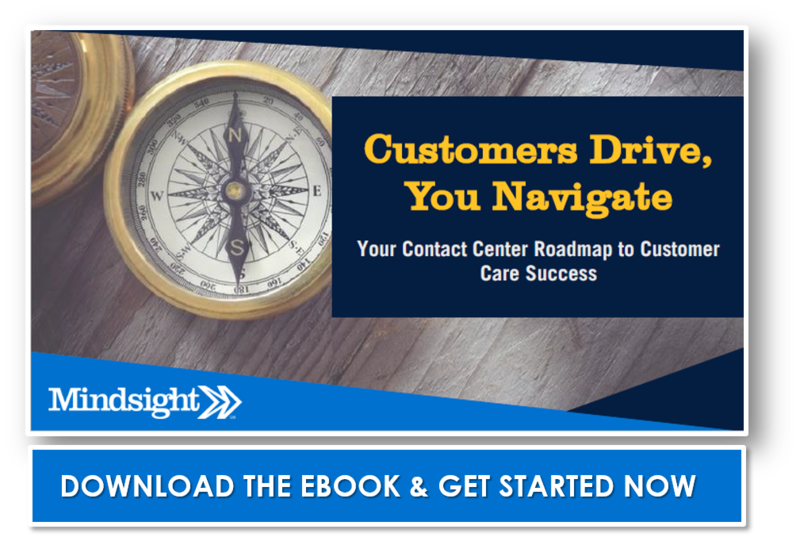 Download our free eBook to find out how to plan a contact center roadmap. We’ve assembled four of the most influential contact center trends for 2018 here. How is your company leveraging these strategies? Number 1 of the contact center trends for 2018? When it comes to the customer experience, first call resolution is the most important key performance indication. It encompasses the most important aspects of the customer experience in a single metric. In order to resolve issues on the first call, the wait time must be reasonable, the staff courteous, and the solution responsive. In 2018, this will stand as the benchmark metric for success in the contact center. Two stats put this point in perspective. 50% of customers think it’s important to solve product or service issues themselves and 70% expect a company website to include self-service features. Self-service features, whether a web form, IVR, or FAQs page, have become a norm and are clearly an expectation of your customer base, but they provide clear benefits to the business as well. The more customers can sort out issues on their own, the more manageable your call volume becomes. Self-service makes the lives of contact center agents easier while also benefiting the customer. It’s clear self-service tops the list of contact center trends for 2018. In past years, companies were asked to simply have a social media presence. Even if you rarely posted, it was important to have a foot in the major social networks. In 2018 the same is true, but businesses now have to do more than post coupons. Social media in 2018 is going to be another communication channel like voice or email. Your team will need to dedicate resources to monitoring and promptly responding to interactions on social media. Omnichannel has been a large topic of conversation in the contact center space for several years now, and in 2018, it will continue to be a focus. Omnichannel is the natural evolution of multichannel strategy. In the past, companies were tasked with providing their customers with as many methods of contacting the business as possible. Whether through voice, chat, email, web forms, social media, or SMS, the customer was then able to interact with a company in whatever medium they preferred. This was called multichannel. Today, we have to take the next step. In omnichannel strategy, all of these different communication channels must blend into a single cohesive customer experience. If a customer has a chat conversation and later calls into the contact center, the company must be able to recognize past interactions with customers and use that history to inform their conversation regardless of channel. The old adage will never go out of style. In 2018, the customer is still be king, and it’s our job as contact center and customer service professionals to accommodate to the needs of the consumer. If your company can address these trends in the coming year, they are sure to see improvements in client retention rates, and that will lead to increased revenue, and a stronger reputation in the market.